Bowles Electrostatic Painting has been serving clients with Industrial Painting, Floor Coatings and Floor Striping ,Machinery Painting, Silo Painting, Metal Roofing Painting, Metal Building Painting and on site Electrostatic Painting throughout the southeast for over 40 years. 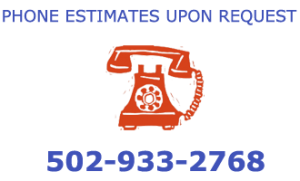 Also residentially we electrostatic paint tubs and tile, Lawn Furniture, Wrought Iron Railings, Metal Kitchen Cabinets all on site in the Louisville Area. Bowles Painting is recognized as an authority and expert for its onsite painting capabilities involving almost any commercial or industrial project requiring Industrial Coatings and Electrostatic Painting. Bowles Painting can meet the needs of each and every client. A process that employs charged particles to more efficiently paint a work-piece. Paint, in the form of either powdered particles or atomized liquid, is initially projected towards a conductive work-piece using normal spraying methods, and is then accelerated toward the work-piece by a powerful electrostatic charge. The surface to be refinished is given a negative charge, the coatings or paint are given a positive charge. The coating is pulled to the metal surface by the magnetic field. The coating dries to a factory baked finish as durable as it is beautiful. Solid adhesion is the key and special surface preparation. The surface is cleaned and primed to insure perfect adhesion. In forty years Bowles Painting has been on site and covered, (literally), a lot of different objects & materials. Quite possibly, more-so than any other painting company in the Country. Bowles paints everything and anything a Building would have or hold: the outside / exterior, the inside / interior, the painting of the machinery and equipment of all kinds, tile, tubs, bathrooms, refinishing, lockers, flooring and floor coatings, walls, ceilings, striping and marking of flooring and interior areas. Fixtures and Equipment – Stairs, Hand Rails, Lockers, Elevators, Filing Cabinets, Concrete Painting and marking, and the list goes on. 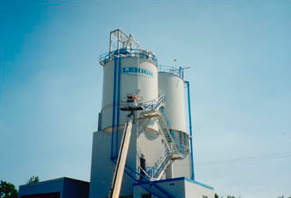 Bowles painting specializes when & where other painting companies would hide and run – they paint Silos, Water Towers and tall complicated structures of all shapes and sizes. Bowles Painting is recognized as an authority and expert for its painting and coating capabilities involving almost any commercial or industrial project requiring Industrial Coatings and Electrostatic Painting.